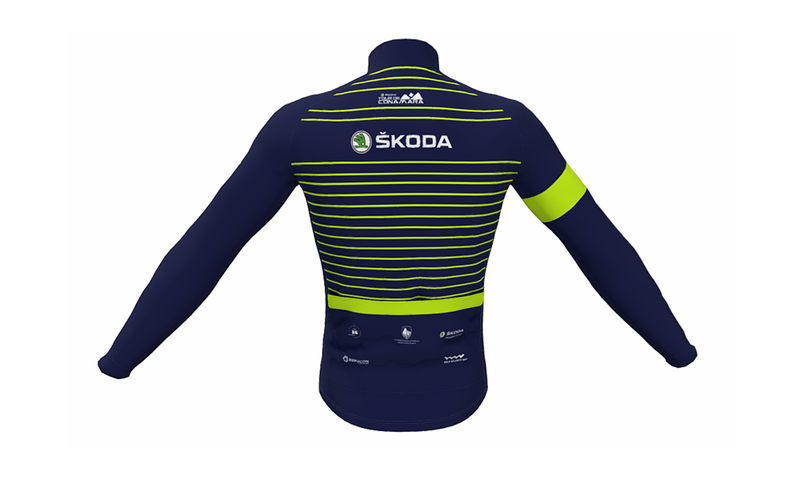 2019 Event Jersey Revealed for ŠKODA Tour de Conamara. Following on from the popularity of the navy and flou event gillet we produced a number of years ago and the many requests for it since, we have created the 2019 event jersey based on the same design theme. 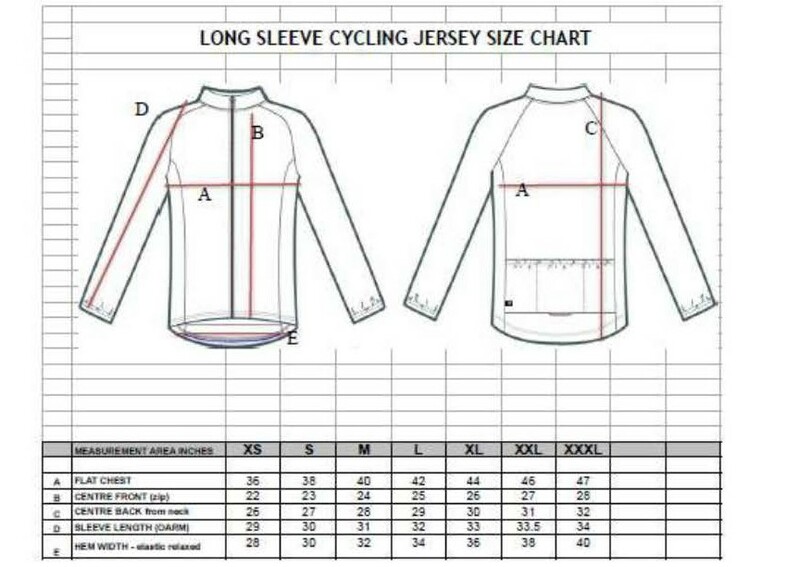 The jersey is a long sleeve jersey and is made from a ‘roubaix’ fabric which is a warmer jersey than the regular cycling jersey. It is ideal for early morning or evening spins or as an autumn jersey. It is designed for visibility so style and hi vis are core to the design. The jersey costs just €15. 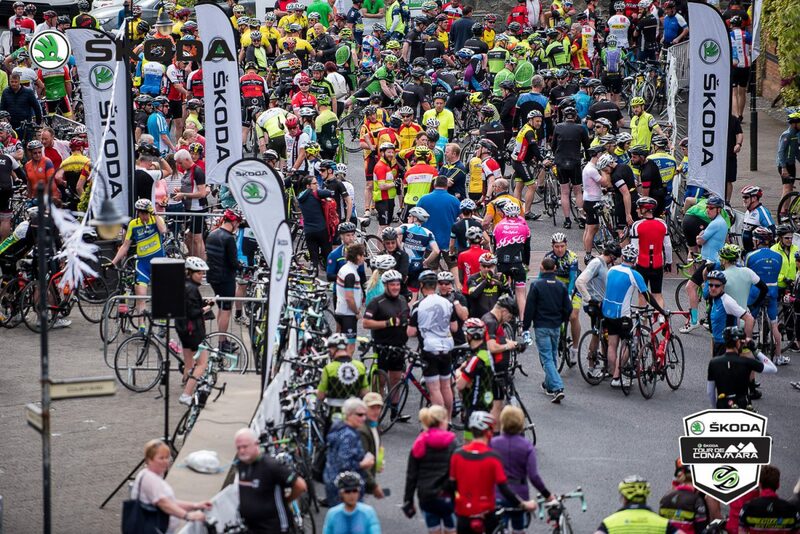 Cyclists have the option to purchase the jersey with their registration at this reduced cost. Please ensure you check the sizing charts before you register and purchase. NB: The size you order is the size we order with the manufacturer for you and there are no exchanges. 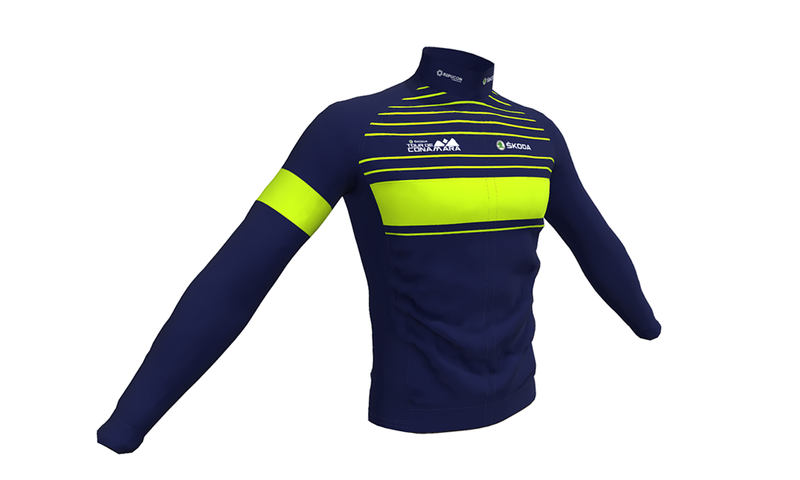 The jersey is produced by Casla, Connemara based Velotec Custum Cyclcing Clothing. As an indiactor order one size above what you normally wear in regular clothing i.e. if you wear a mens large polo shirt, we suggest you order an xl. when ordering ensure you orde the right size. We recommend you go one size up on your normal clothing as you may wear layers under it during Autumn / Spring spins.